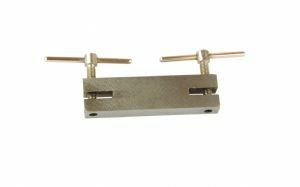 1 Metal hole making jig for making holes in metal discs, perfect for jewellery making. 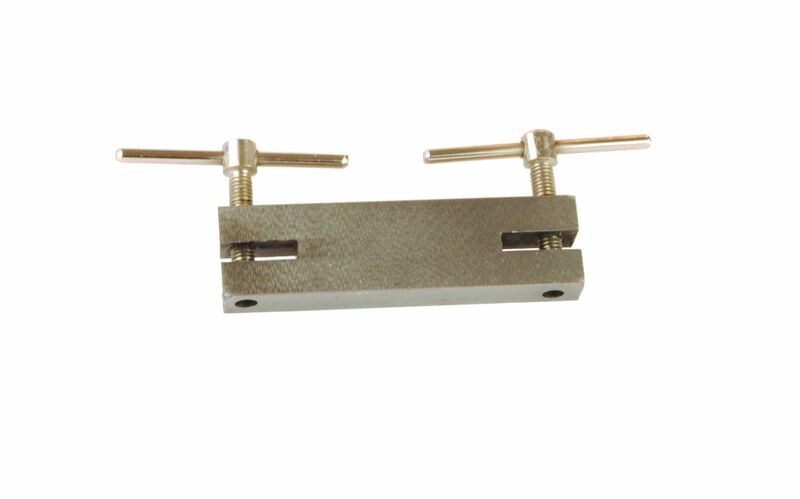 Will make hole sizes of 1.80mm and 2.40mm. Total size of vice or jig black metal frame is 75mm x 20mm x 15mm. Size of screws: 40mm long. Size of each handle: 50mm long.